What is the best mortgage deal for me? There are plenty of reasons for taking out a mortgage, whether you are remortgaging, purchasing another property or you are a first time buyer. Fluent Mortgages will help find you a mortgage that suits your needs as an individual. The way we work is simple. Firstly, we will allocate you a professional mortgage adviser who will talk you through what you're looking for in a mortgage. We take care of all the hard work, leaving you to put you're feet up and relax. After researching a wide range of solutions from a number of lenders, your adviser will provide you with the best choices available to you. It may be possible for one of our advisers to even come round to your home to help with paperwork, ensuring your application proceeds quickly and smoothly. 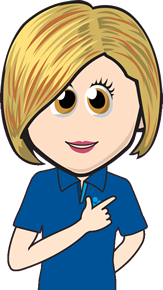 Whether you are looking for a mortgage adviser in Bury or a mortgage adviser in Manchester or anywhere else, Fluent cover the whole of the UK. Our advisers can find the best deal for you. We may be able to help whether you're employed, self-employed or a less than perfect credit history.